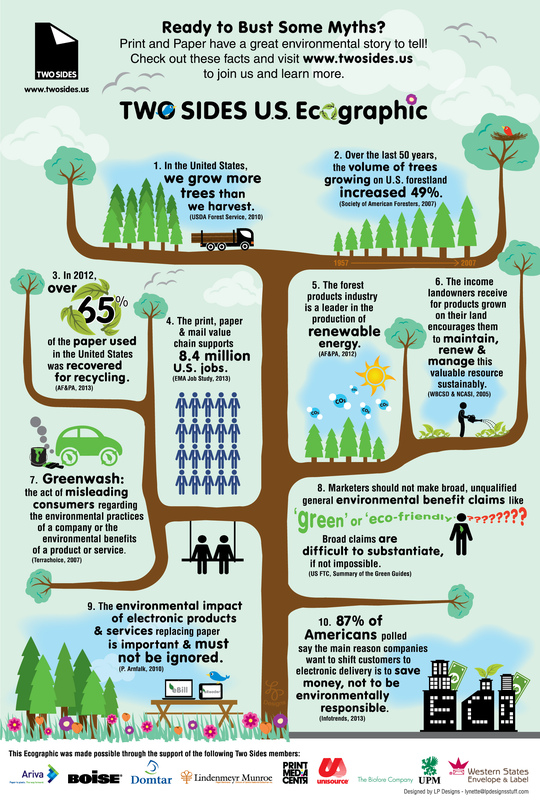 The Two Sides Eco-graphic will help you bust some myths about the sustainability of print and paper. At Print 2013, Two Sides announced that Lynette Maymi, a self-employed design professional from Pompano Beach, FL, won the Two Sides Eco-graphic Challenge. The contest was initiated to develop an engaging infographic that clearly presents facts about the sustainability of print and paper.